Dr. Michael K. Smith of Seaford, DE, passed away peacefully surrounded by those he loved at the Delaware Hospice Center in Milford on April 12, 2019, at the age of 63 after a courageous fight against cancer. Born in Washington, D.C. and raised in Rockville, MD, Mike was the son of the late Dale Paul Smith and Roger and Mary Ann LeGassie. Mike was a 1974 graduate of Robert E. Peary High School in Rockville, MD. He went on to obtain a bachelor’s degree from Frostburg State University and two master’s degrees, and a doctorate from Wilmington University. A public school educator for 40 years, his most recent position was principal of North Caroline High School in Denton, MD, where he was beloved by students and staff. Mike was retired from the State of Delaware where he served as an educator and coach in the Lake Forest and Laurel School Districts before making his home in the Seaford School District. 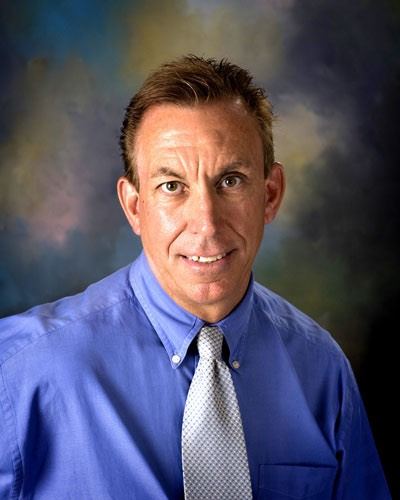 During his many years in Seaford, Mike held many titles: special education teacher, coach, athletic director, assistant principal, principal, Director of Special Education, and after retirement, school board member elected by the Seaford community. In addition, Mike was an interim principal at Glasgow High School and Shue-Medill Middle School in the Christina School District and had recently begun working in a part-time capacity for the University of Delaware and the Laurel School District. His passion for his calling in education was always evident in his interactions with students and through the spirit and energy he poured into leading each school. An avid sports fan and athlete, Mike took great pride in working out and staying physically fit and was a former competitive body builder and college wrestler. Through the years, he coached countless middle and high school students in wrestling, football, and softball programs in the districts he served. He took great pride in the athletes and teams he coached and could always recall stats and stories from every team. His coaching influence went beyond the schools to the community, as well. Mike was involved in Little League at varying levels: coach, president of the Nanticoke Little League in Seaford, and as an official for Delaware District 3. In 2008 Mike was honored by Little League International as the Volunteer of the Year for the World and was given the royal treatment at Williamsport during the Little League World Series, a week he would never forget. As his daughter’s love of softball grew, so did Mike’s involvement in the world of travel softball. He coached and managed a team with the SWOOP Fast Pitch organization for many years until his health began to decline. As a sports fan, Mike’s love of his favorite football team, the Redskins, was legendary. From going to all their home games, collecting memorabilia and designating a room in his home showcasing what an avid supporter he was, Mike was the ultimate, loyal Redskins fan. Mike is survived by a family who adored him: his wife, Stephanie, children Carter (Kasie) and Rylie Moore, Sydnee and Hayden Smith, his Italian exchange daughter Carla Iacobelli, a new granddaughter he never got to hold, Mia Moore, brothers Keith, Kerry (Cathy) and Russ (Karen) Smith, brother Rev. Al Shjarback (Donna), and many extended family members. He also leaves behind the family he gained through marriage: his mother-in-law Lois Davis (Jim Sturgis), sister-in-law Jennifer Sammons (Wayne), and his beloved nieces Regan and Paige Sammons. A celebration of Mike’s life will be held Friday, April 19th at 2:00 PM at St. John’s United Methodist Church in Seaford, DE where friends may call prior from 12:00 -2:00 PM. Those who were influenced by Mike, known as “Smitty” to many, are encouraged to come share their stories and memories to honor a life well lived in service to others. In lieu of flowers the family asks for donations to one of the following organizations: Nanticoke Little League at PO Box 274 in Seaford, DE, St. John’s UMC or Delaware Hospice.